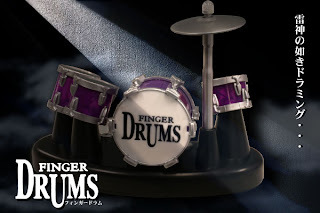 A Rinkya Blog: Smallest Drum Set in World? Last week, we brought you finger weights direct from Japan! We have now found a reason to tone those finger muscles- Finger Drums! Work out your fingers and play some tunes- Only from Japan!